This is the second film I've seen in a week that's had audiences cheering and booing in equal measure at recent festivals (why do I never get to go to these divisive screenings? The ones I attend are always boringly sedate affairs. Oh, to live in '60s France…). 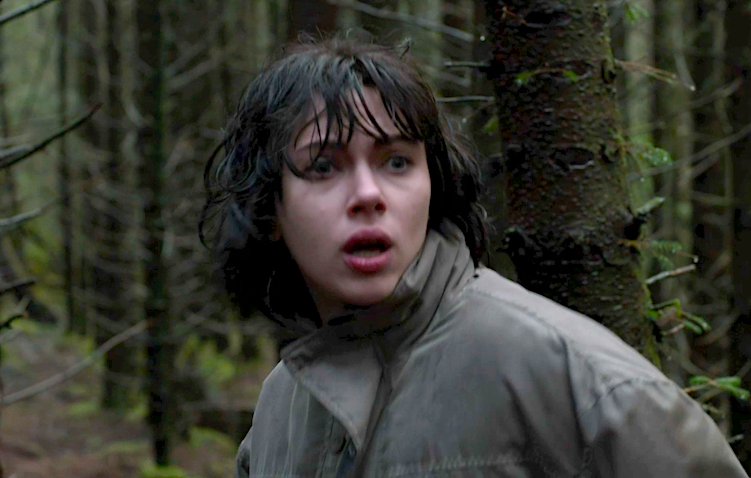 Having already garnered glowing reviews from the big British newspapers, Jonathan Glazer's third film in 13 years is a gruesomely effective modern science fiction horror about a dispassionate and sexually available alien - played by Scarlett Johansson - who lures single men to their doom in modern Scotland and based on the book of the same name by Michael Faber. Most of the cast were passers-by, filmed unwittingly by hidden cameras. I doubt you'll see anything quite like it over the next year. It's never loud, and never relies on standard horror tropes, instead delivering the nail-biting tension of of a mysterious hunt, matched by a gripping, itchy score by Mica Levi. It's stunning. Another touch point would be the music video nastiness of Chris Cunningham. There's one remarkable scene where Johansson's automatic piloted fembot fatale (ha! I may copyright that one) picks up a severely disfigured man. Dim greys of night vision camera techniques give that scene - along with the truly shocking section where you actually see what happens to her victims - the same dark, urban tone that made Cunningham's Aphex Twin videos such haunting pieces. The more abstract glimpses of the aliens' culture and backroom machinery has the cold, clean touch of Kubrick about them. Unlike Faber's book, the audience is left to guess at what is actually taking place most of the time. Johansson prowls the dark estates and drunken city streets of Glasgow in a white van, using a set of interchangeable pick up lines to determine whether the victims are suitable meat for the alien abattoir, entered via tenement doorways or within rotting, abandoned houses. She's accompanied on her quest by a grim motorbike riding 'fixer' who disposes of details which may lead to their discovery. The dialogue is confined to the foreboding foreplay of her pick up lines, or the uncomprehending questions of those she encounters. Even though we know that there's a weird otherworldly vampiric purpose to Johansson's stalking, it's a deeply disturbing reversal of our notions of sociopathic sexual predation. Only at the denouement do we see Johansson's character (is she merely an automaton in human skin?) falling prey to the usual pattern of human abuse. And at the same time Glazer seems to be drawing a grim portrait of the post-Cameron north/south divide, where human flesh is mere fodder for an uncaring alien purpose. Most reviews have drawn attention to the director's skill in putting you behind Johansson's eyes, seeing the grimy, desperate activities of dispossessed urban Scotland as a totally incomprehensible melee of noise and primal urges. A section where she gets whisked into a thronging club really leaves you as disoriented as she herself looks. Her own body, often portrayed naked, is not Hollywood thin, but pleasingly real in its curves, adding to the sense that she's somehow been designed for the greatest appeal to her victims. 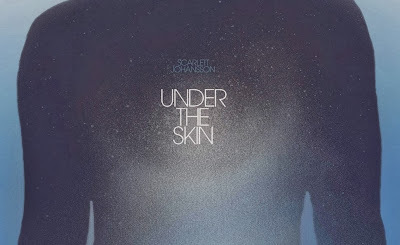 It's an astoundingly brave performance by Scarlett Johansson who obviously longed for something meatier than the recent Marvel comic roles she's been servicing. With Under The Skin she's surely found it. You'll never look at her the same way again.